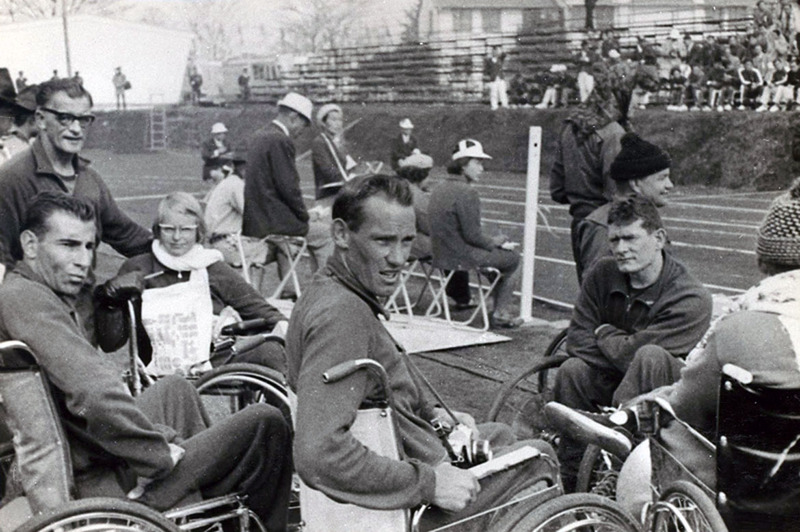 The 1964 Tokyo Paralympic Games were held immediately following the Olympic Games. While the Paralympic Games remained small and relatively unsophisticated by contemporary standards, the Japanese Committee were well organized. Athletes received a formal welcome, assistance from the plane, interpreters for the duration of the games, and teams were provided with transportation. Paralympic athletes felt that their requirements to perform at a competitive level were gradually getting acknowledged. The Australian Paraplegic journal concluded: “The Japanese organisation was simply outstanding, their hospitality overwhelming, and their friendliness magnificent”. In many ways, Tokyo exemplified the International Stoke Mandeville Games motto of ‘Friendship, Unity and Sportsmanship’. Given the extra recognition and support received by the athletes in Tokyo, it would be reasonable to assume that these Paralympic games ran significantly more smoothly than those four years earlier in Rome, and in many ways they did. Yet, in some respects, the extra recognition caused more of a hindrance than help. As the General Report states: “one of the difficulties which was experienced by all teams and Australia as one, was that the Games were very crowded, the whole program having to be run in four days”. The crowded program was also blamed for Australia not being able to enter a team in the basketball competition. In general, however, the Tokyo Paralympic Games were considered a resounding success, and even helped change perceptions about disability in the host nation. Fifteen Australian athletes and eight support staff travelled to Tokyo for the 1964 Summer Paralympics. List of the members of the 1964 Australian Paralympic Team for the Tokyo Games, with links to the members’ Wikipedia articles. Or the “Games for the physically handicapped”? "The food, the games, everything was absolutely marvellous." "I could see a gold medal staring at me"
Looking for more about the 1964 summer Paralympics? Here are some links you can visit and ideas to find out more.